Photographers are naturally visual people. We are drawn to certain images and patterns but often don’t know why. When we become aware of the “why” and use it intentionally when shooting, we create stronger images. Artistic “rules of composition” are proven tools we can use to guide us in creating better images. In this issue I will focus on one of the basic rules, the Golden Ratio. The Golden Ratio, which is roughly 1 to 1.618, is a mathematical ratio commonly found in nature. 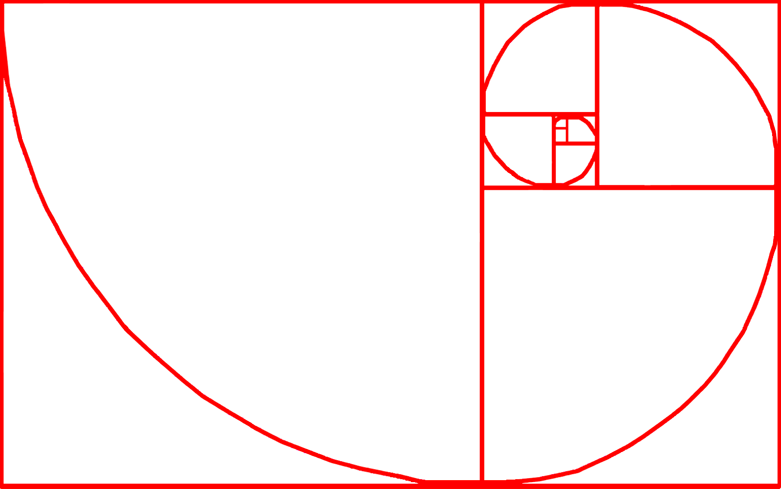 It has many names including Golden Mean, Golden Spiral, Golden Section, Golden Proportion, Fibonacci Number and Phi. Usually you will see the Golden Ratio depicted as a large rectangle divided into a square and smaller rectangles which are the further subdivided. The sequence repeats infinitely within each section. 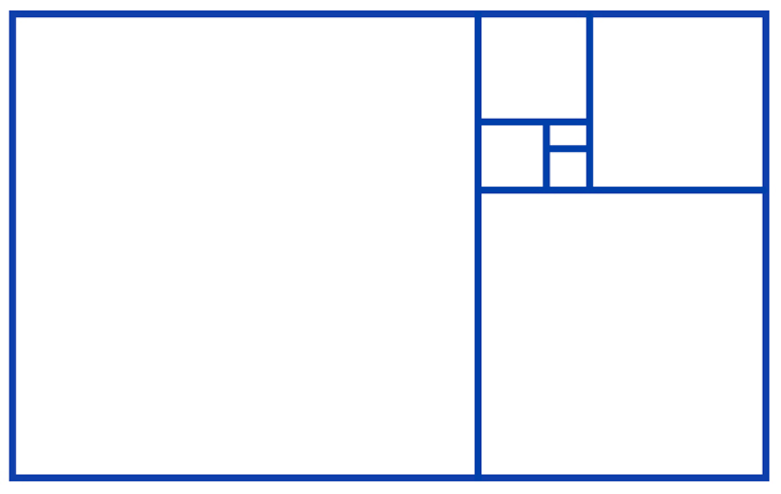 When you remove the largest rectangle, another golden rectangle remains and so on. 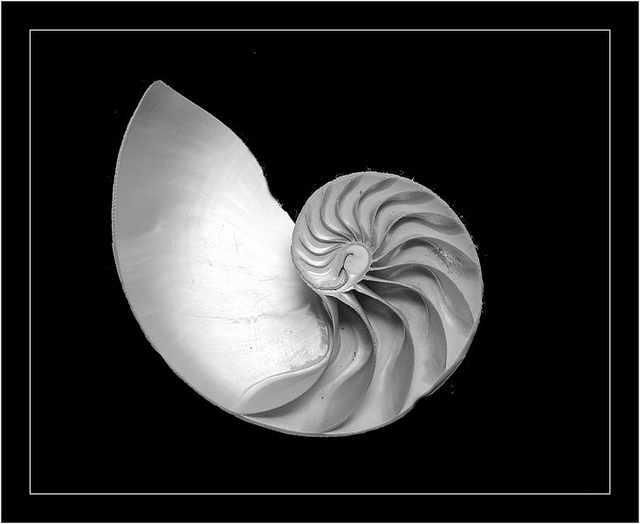 The Golden Ratio readily appears in nature. It is repeated in the branching of trees, the seedhead of sunflowers, arrangements of pine cones, spirals of shells and and an infinite array of other examples. It can be found all around us. It is also the foundation of another time-honored artistic principal, the rule of thirds, the basis for well balanced and interesting compositions. 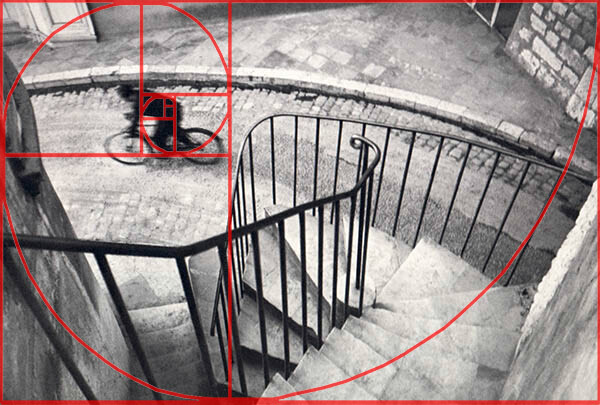 Our eyes are naturally attracted to anything that uses the Golden Ratio. It seems that our brains are hardwired to respond in a positive way to patterns that contain it. On a personal note, when I first became aware of the Golden Rectangle I got hung up replicating the rectangles and completely missed the big picture. After much trial and error, I realized I was missing the broader concept of the relationship between the subject and the rest of the frame. (That’s what happens when you learn things on your own). One of my favorite paintings in the national Gallery of Art in Washington DC is The Boating Party by American artist Mary Cassatt. Whenever I’m on the Mall in DC, I make point of popping into the museum just to view this painting. 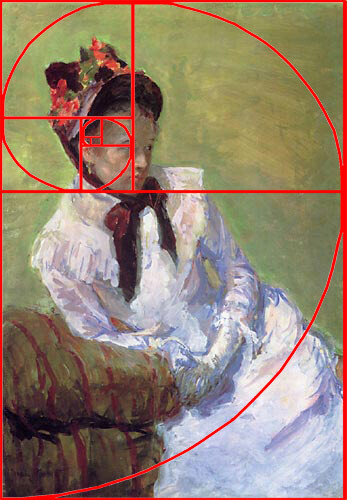 Here’s a photo of the painting with an overlay of the Golden Spiral. 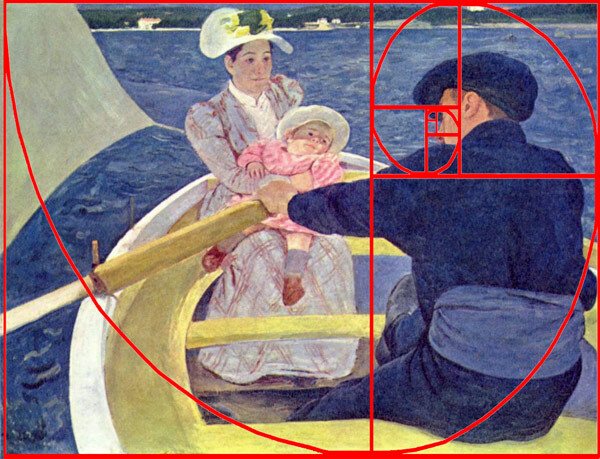 As you can see, the man rowing the boat fits directly into the center focus as described by the spiral. This was not by accident. Here is Mary Cassatt’s self-portrait where you can see how she used the Golden Spiral in composing this painting. Again, this is not by chance. 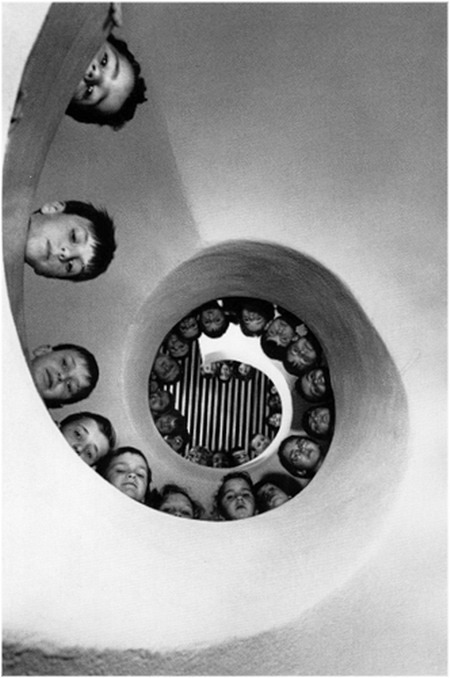 Let’s look at the work of Henri Cartier-Bresson, the father of Street Photography. Did he purposely compose these images using the Golden Ratio? It’s debatable, but as a classically trained artist he would have been aware of the basic rules of composition. Look through any collection of his work and you will see this pattern in many of his famous images. This one doesn’t need an overlay. Let’s look at a more recent example from Ronya Galka’s interview in this issue. Ronya said she seldom composes on the street, but the placement of the subject within the Golden Spiral makes this a very strong and compelling image. 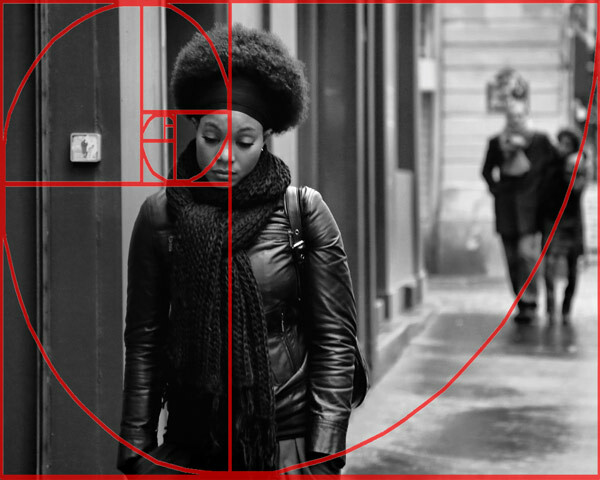 How can you apply the Golden Ratio to your work? Just being aware of these patterns will help you as you’re composing and/or cropping photos. When an opportunity presents itself when moving quickly on the street you have only a fraction of a second to react. Often you will be forced to make composition decisions. 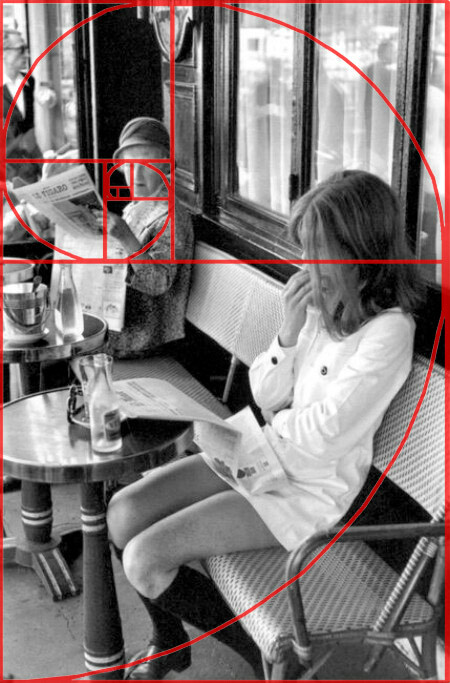 In these situations, the Golden Spiral is an excellent cropping guide. If you use Lightroom , good news! The Golden Spiral is built in. 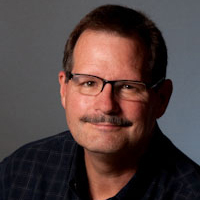 In cropping mode, the default guide is the rule of thirds. To access it, click the O key on your keyboard to toggle between guides (there are several). If the golden spiral is in the wrong position for you image click Shift + O to toggle between orientations. I suggest you insert a couple of before and after cropping examples here. Below this article is a short video that demonstrates how to do this. I understand Aperature does not have a similar guide. If don’t use Lightroom you can download a transparent png of the Golden Spiral from our website to use as a guide. Does this rule always apply to every image? Certainly not. It is simply one tool in a large bag of tricks. But just the awareness of this pattern can help you to create stronger images in the long run.